"Incredibly useful encounters...", "Very useful book!" 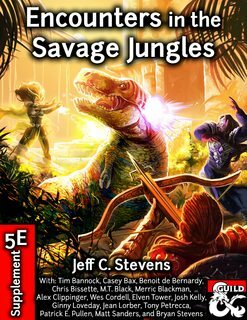 What could happen while traveling the vast Savage Frontier? Just about anything! 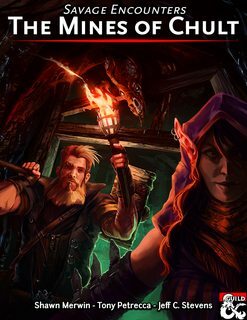 This 72-page supplement contains encounters written by Seven Best-Selling Dungeon Masters Guild writers and two new writers! 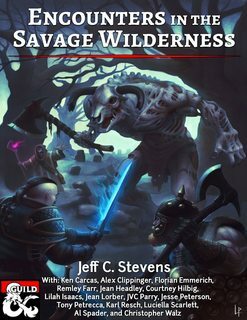 Encounters in the Savage Frontier includes 24 unique encounters of various difficulty that can be used while the adventuring party travels the Savage Frontier. 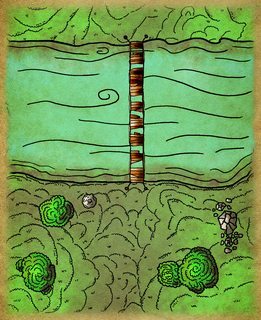 It also includes several new creatures and magic items, digital hand-drawn maps (10 as downloadable .jpg files), and original artwork. Some of the encounters are short and brief, while others may take you a full gaming session to complete. 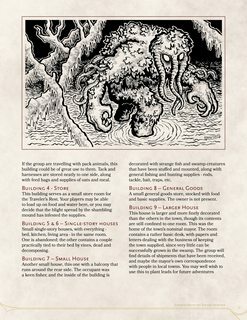 Even though the inspiration for this collaboration project developed while reading Storm King’s Thunder, the 24 stand-alone encounters can be used with any official D&D campaign or in your own home campaign. Location suggestions are mentioned but most are written in a generic setting. You could even use a few of these encounters while playing Tomb of Annihilation! We each had a blast working on this project. We hope you have just as much fun using the encounters. Enjoy! Want even more encounters? 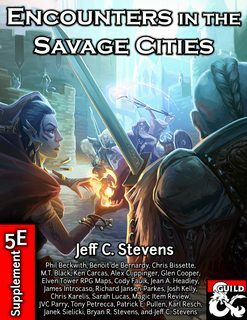 Pick up Encounters in the Savage Cities for only $6.95! 26 city-based encounters/mini-adventures designed for when the adventurers spend a little time in an urban location. Also, be sure to download my FREE encounter - Save the Wagons! Looking for more fantastic adventures from the contributing writers? 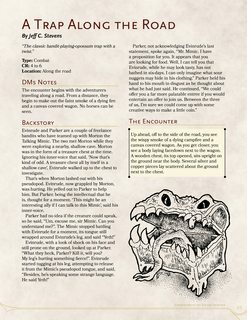 I've uploaded a separate PDF that includes Scaling Suggestions for many of the encounters. Did you include that in the fantasy grounds version as well? Jake, I apologize. The FG .mod has not been updated, and the PDF has not been added to that version. Would you like the scaling PDF with the FG .mod, too? I'm not sure if I'll be able to have the actual .mod file updated to include the scaling suggestions. Can you clarify what you updated today? There are so many files to download listed above. Did you update the supplement? Does fantasygrounds version include the pdf? I'm sorry, but no. They are two being sold as two different products. Nicely done and written. I especially like the light treatment of the encounters. It doesn't feel like I have a lot to remember to run these, and that's always a plus! Thank you! I'm glad you like the supplement! 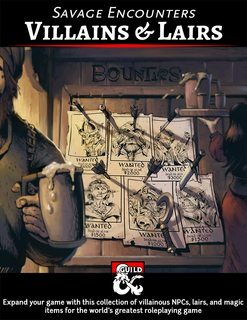 I love this product, but can I get a copy of the maps without grids for use on Roll20? Albert, I'm happy to hear that you enjoy the product! Unfortunately, the maps were commissioned, and I only have a few without the grids. I've uploaded five .jpegs that will hopefully help you on Roll20 (three without the grids). I've just added more maps! Check them out! Alex B - I'm adding updated maps. Three have been added today (2/6/17). Thank you for the feedback! This title was added to our catalog on December 11, 2016.